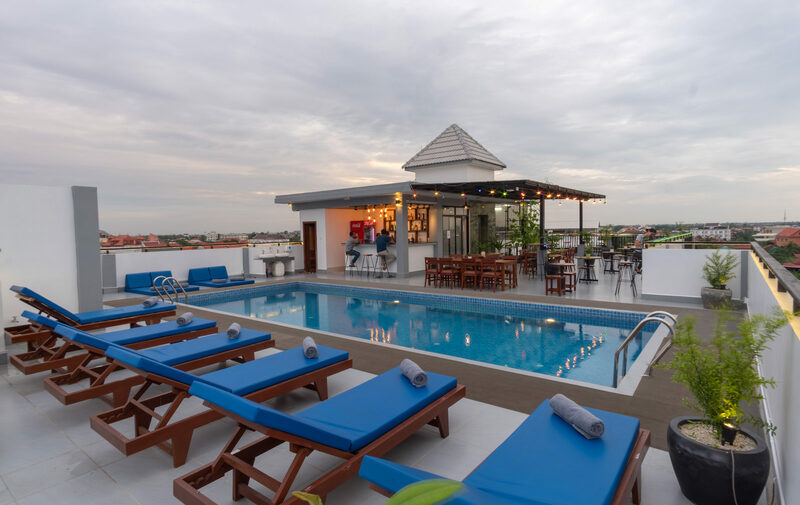 Angkor City View Hotel is right located in the midst of Siem Reap city offering our guests the full accesses to the must see of the city within walking distance. The featured city points of interest include night markets, pub street, old market area, super markets, restaurant and bars. 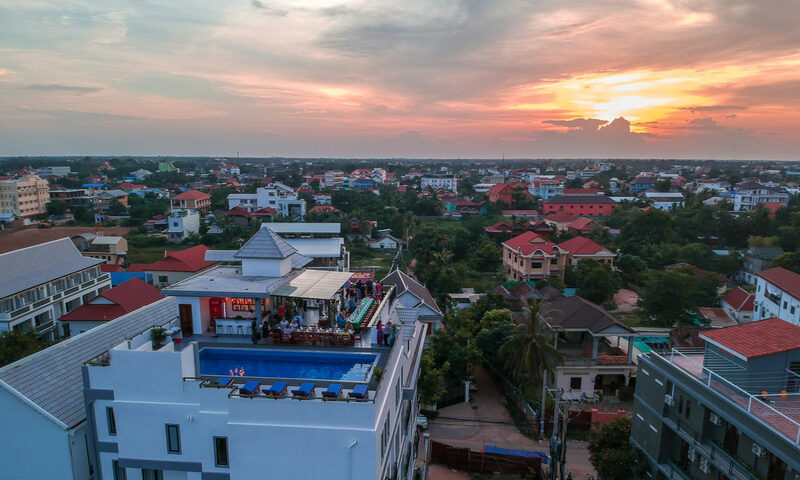 In addition to our great location, the hotel offers full range of facilities and services to ensure that our guests having a great and pleasant stay during their trip in Siem Reap – Angkor. Our highlighted facilities include rooftop swimming pool and rooftop bar and restaurants with choices of local and international foods and drink selections. We are proud of satisfaction from our customers on our cocktail taste. By staying with us, our customers have worry free on reaching the must see in city and they will be able to have a great relaxation on our rooftop swimming with a great view around the city, especially, the sun set view. © 2018 - 2019 Angkor City View Hotel, All rights reserved.